This course is open to both boys and girls aged 6, 7 & 8 and no experience is necessary, although we also hope it provides an extension of our successful Kickstart classes. Whether your child is too young or not ready to join a team yet, or if they would just like some extra practice, our Saturday Soccer School aims to provide the perfect environment for them to improve their football skills, finishing with some small-sided-games to put those skills into practice. 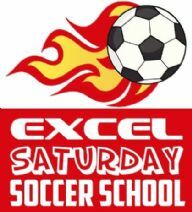 Please note the Saturday Soccer School sessions will be held outdoor, and in cases of inclement weather parents/guardians will be notified as soon as possible about postponements, which will then be added on to the end of the block if necessary. Classes usually run during the term time, on Saturdays 10-11.00am outdoor @ Bingham Leisure Centre, in blocks of 5-7 weeks.